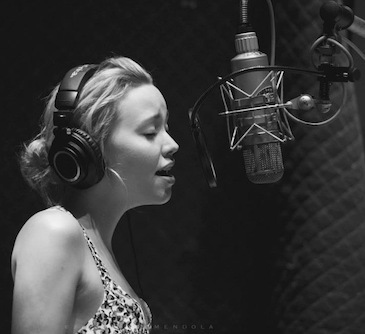 Kristina, a Calgary born singer/songwriter, wrote her first song at the age of eight and recorded for her first time in a little garage four years later. She then went on to work with producer Greg Gunhold and was nominated as a semi-finalist in the ISC (International Songwriting Competition) at the age of 15 two years in a row for her song "From Here." Kristina now resides in Victoria BC and has travelled back and forth to LA working with her producer CJ Vanston. 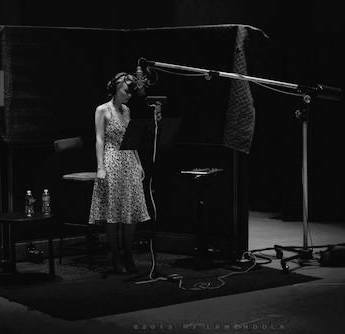 In LA, she had the honor of recording a couple of jazz cover songs at Capitol Records with legendary engineer and record producer Al Schmitt and Steve Genewick. She is now 26 years old and has recently shared the stage with award winning producer David Foster and one of the most influential figures in "nuevo flamenco" music, Jesse Cook. She has also opened up for Jim Cuddy from Blue Rodeo and Naturally 7 with Thomas Kinzel. Kristina’s piano vocal cover album (produced, played, arranged, mixed, and mastered by the multi talented Thomas Kinzel) is entitled ‘The Nearness of You’. They are working towards an original album set to release in late 2019. 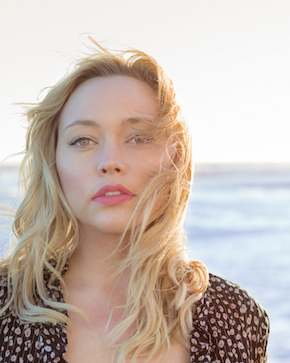 Kristina Helene is avaialble as a duo up to a six-piece band! "Her voice is soft and beautiful, but at the same time powerful and rich, a voice that touches the depth of the heart." "Phenomenally talented and just a gorgeous person inside and out"
"Kristina’s style defies exact definition in that she does not sound like anyone you have heard in the last 40 years or so. [Her voice] is quite unique. It is immensely exciting and demands your attention." Kristina Helene's 2019 Single "Lights Out"
Kristina Helene’s music is available for licensing for Film, TV, Commercials, etc!